An insulated lunch bag is the perfect accessory to carry your childrens lunch, keeping it safe and cool in their insulated bag whilst at school or on days out and about. Colours and styles may vary. If this item is purchased online, a specific style cannot be guaranteed…. This toy costs approximately £2.99 (for the latest and best prices make sure you check our retailer list for the Disney Fairies Lunch Bag above). 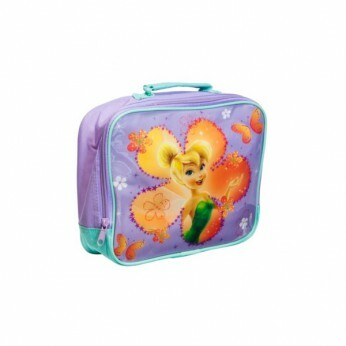 In our review of Disney Fairies Lunch Bag we classed it as being suitable for ages 3 years, 4 years, 5 years but recommend you check the manufacturer specific advice before purchasing.